Originally made for travel retail. 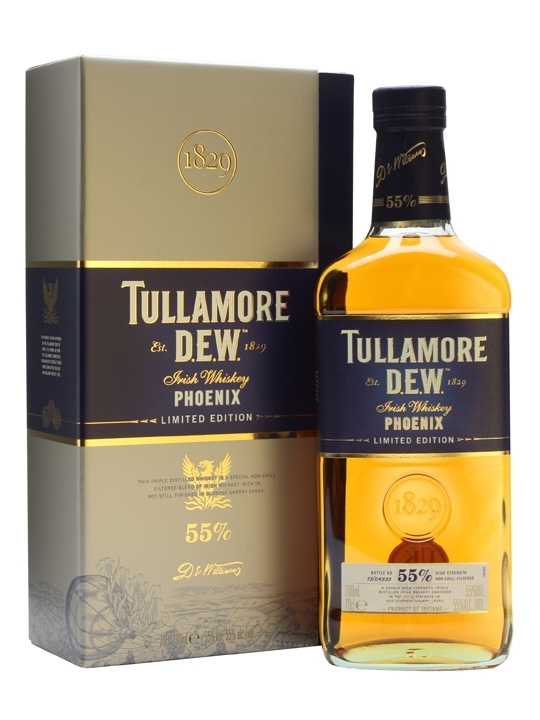 You will find the Phoenix in the city of Tullamore’s coat of arms. It is finished in Sherry casks. Malty, sweet and fruity on the nose. Actually quite mild considering that it is 55%! At least after a couple of minutes in the glass. A little dried fruit like raisins, some vanilla and fruity sweetness. In the taste, you definitely notice the high ABV! Very much like the smell, but the dried fruits comes a bit more forward in a way. 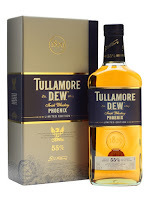 The sweetness is even more noticeable in the finish with notes of dried apricots and oak spices. This must have been a proper Sherry finish. Or maybe it is just the spirit being so mild that even a short time of maturation have a big impact. It is very powerful, so you can easily play with water or just let I rest for a while in the glass. I will give this 84/100 (20/21/22/21).